Founded in 2014, MAC was established by leaders of seven community-based foundations focused on increasing awareness about melanoma, providing education about sun safety, and raising money for melanoma research. All the foundations were founded in memory of a lost child, spouse, parent, or friend. 15 foundations joined in on a heart-warming session, working together to stop melanoma in its tracks! Defeat Melanoma was glad to be a part of this epic day! 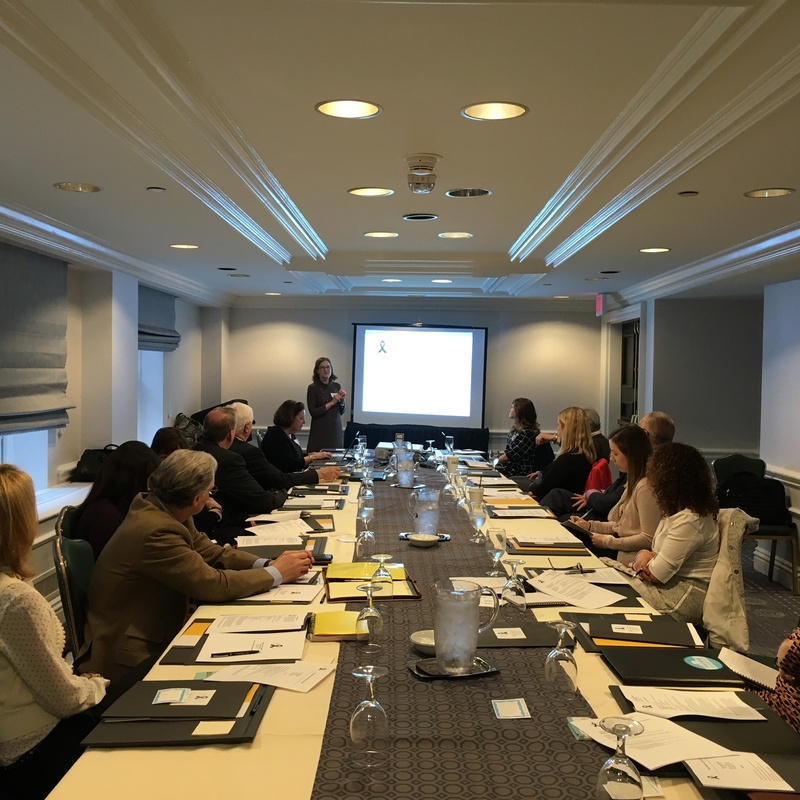 The New England Melanoma Foundation presented their scalp melanoma detection program to conference attendees, while the American Cancer Society also led a discussion on indoor tanning legislation. Plans for MAC members to support a united program on Melanoma Monday — which will take place later this year on May 2 — were also laid out at last week’s event. Christine Garrison, the esteemed founder of the White Aisle Foundation, led the session, with the help of committee members Jack and Maggie Biggane of the Molly Biggane Melanoma Foundation and Claudia Dulude of Defeat Melanoma, who were also in attendance. The Melanoma Action Coalition currently has 17 member foundations and plans to grow to 20 foundations in March. It is estimated that there are 50 family melanoma foundations in the US. For more information, or to join MAC, go to www.melanomaactioncoalition.org.